When heat is applied, the band can shrink up to 40% of original size. COMMENTS: I really like these shrink wraps. COMMENTS: First time using these and they were very easy to use. Made my finished product very nice looking.
" 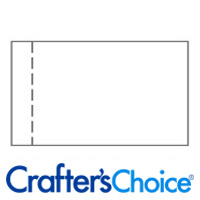 Crafters Choice™ Shrink Wrap Bands - 170 x 55"
COMMENTS: Works Great - Thank You! 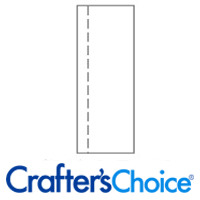 "Crafters Choice™ Shrink Wrap Bands - 170 x 55"
COMMENTS: These shrink bands worked great on my jars of scrubs, body butters, and bath salts. I had never used shrink bands before, but needed to keep little hands from opening my jars at my sales. These were easy to use,and sealed down smoothly(I only wasted one as it went sliding off the top of the jar when I applied heat). I moved the wrap further down my jar, problem solved! They not only give my jars a very professional look, but they make packing so much easier as I also include my label with instructions inside the shrink wrap. I will be ordering all sizes for all of my jars and bottles, these are a time and product saver (and they are kind of fun to use..LOL). Thanks WSP! "Great for my bail jars!" COMMENTS: I used these shrink wrap bands to seal my Body Butter bail jars. They were wide enough, that I cut them in half and got twice as many. Worked great, just make sure that you don't over-shrink or they will break. • Perfect for sealing bail jars. COMMENTS: These bands are great for safety of product in physical retail setting. COMMENTS: Must have to keep product from being tampered with. COMMENTS: I love all of WSP's shrink bands. Easy to use, excellent quality. COMMENTS: I use these on my bath bomb packaging. They are nice, heavy-duty shrink bands - much thicker than the shrink wrap bags. COMMENTS: I use this to wrap smaller bars, makes shrink wrapping a breeze. COMMENTS: This is a great shrink wrap for jars. COMMENTS: Ease of use and peace of mind. I use a hairdryer to seal my sugar and salt scrubs, and it works wonderfully. I do cut these in half though since my jars are flatter. "Great in a Pinch "
COMMENTS: These are a must have to keep products safe from being opened and they make them look nice and professional. COMMENTS: Fit my jar like a glove and was easy to shrink. "These get the job done!" COMMENTS: Perfect fit and get the job done! COMMENTS: They work well as long as you put them on the right bottle/jar. They also are perfect for protecting labels, heat guns work best. I do like them for providing tamper seals. "get the hang of it"
COMMENTS: They work very well. 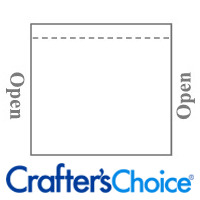 "Which size could I use for my 3 in round soaps (1602 Mold)?" Staff Answer You can use the 115 x 55 or the 102 x 102 which has been specially designed for CP soap bars. "What is the thickness/gauge of your shrink wrap band 170mm x 55 mm? Are the rest of the bands the same gauge?" "What shink band fits 4.oz spray aluminum bottle cap size 24/410?" "Which shrink bands are used for a 89-400 plastic cap? 170 x 55?" Staff Answer Our 89/400 tops, fit 89/400 jars. In looking at our 89/400 jar/top, the 155x55 Shrink Wrap Band actually work best. 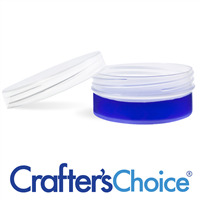 The 155x55 Shrink Wrap Band fits 2.6 to 3.7 inch Diameter Jars. The 170x55 will be too big for the 89/400 size. The 170x55 fits 3.25 to 4.25 inch Diameter Jars. "What size shrink wrap bands should I use for the 2 oz Natural Twist Up Lotion Bar tubes?" 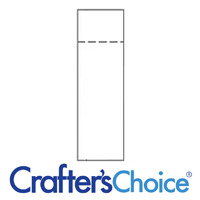 Staff Answer I would recommend Crafters Choice™ Shrink Wrap Bands - 80 x 55 for this tube.